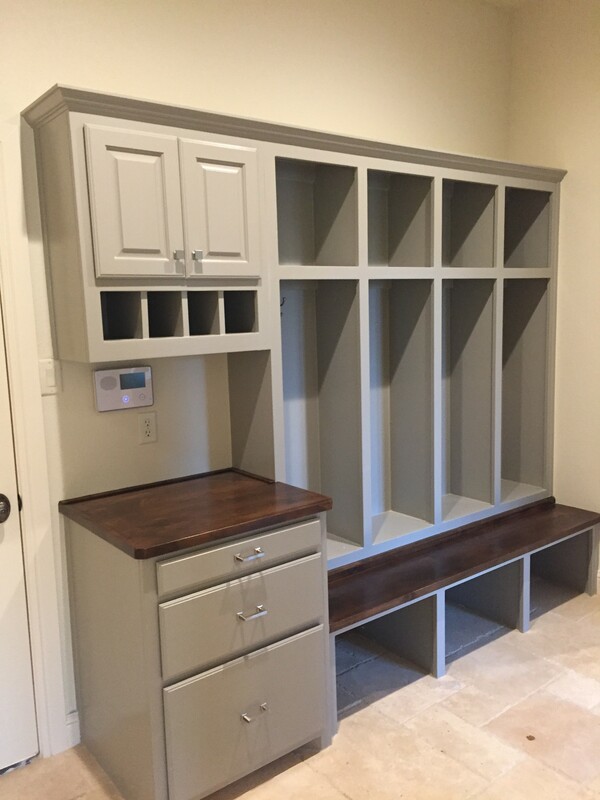 This hard-working mudroom can help you organize your busy family. The mini workstation is a great space to drop mail, keys and phones. Each locker has hooks for coats and backpacks, and a beautiful knotty alder seat makes a great place for kids to get their shoes on as you head out the door. This entry was posted on Thursday, February 2nd, 2017 at 5:03 pm	and is filed under Interior, Uncategorized. You can follow any responses to this entry through the RSS 2.0 feed. You can skip to the end and leave a response. Pinging is currently not allowed.